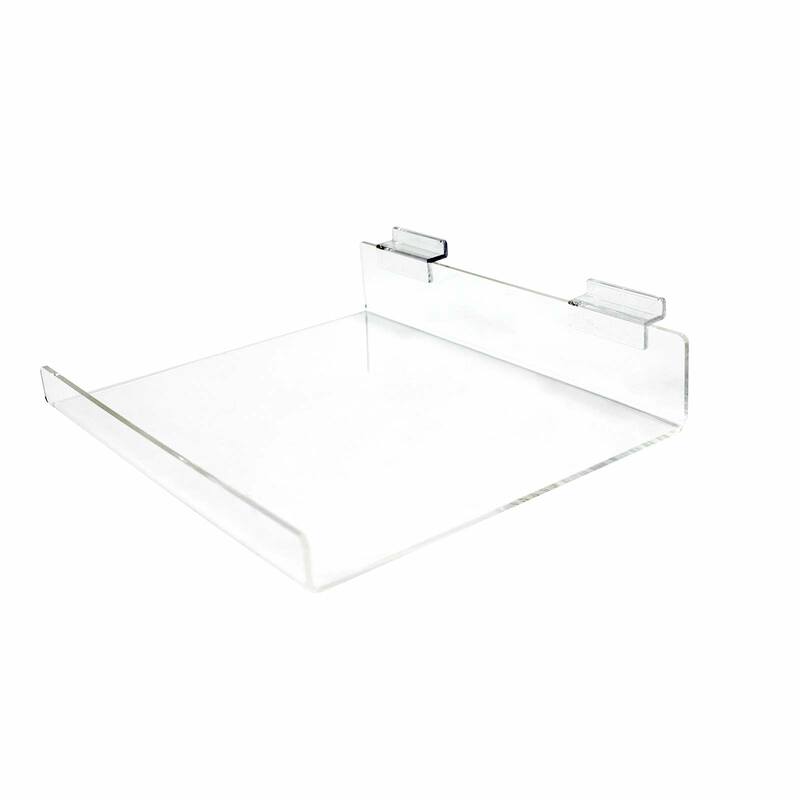 Clear 4mm acrylic flat shelf for Slatwall with front lip. 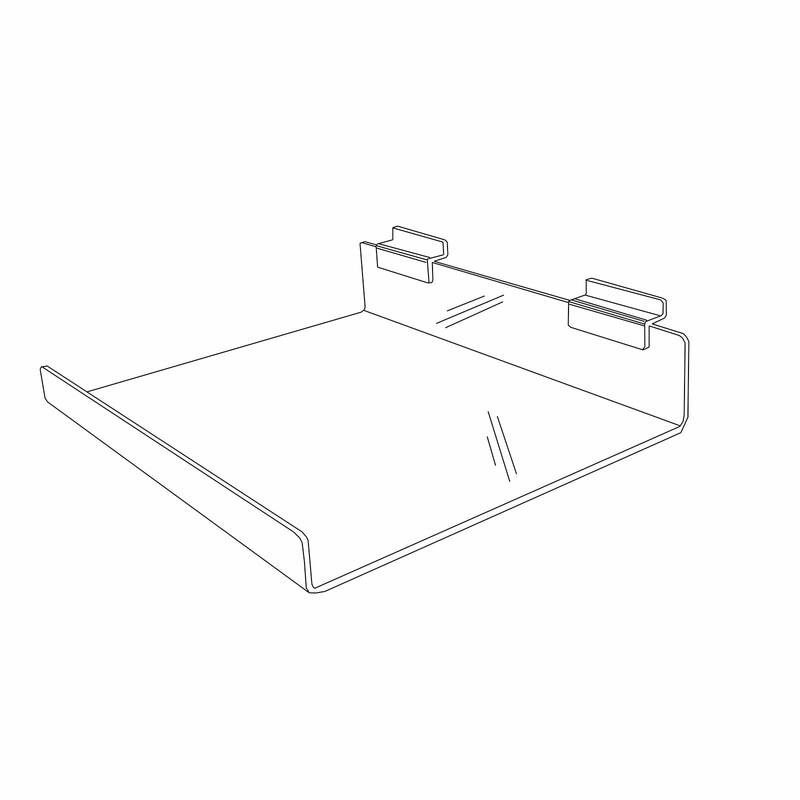 Ideal for displaying shoes and boxed items. Add a price ticket behind the front for easy to see prices.